We are enormously proud to announce a most exclusive show of nostalgia. Mörk Gryning :In 1995 was one the most influential swedish black metal albums of all time released. Tusen År Har Gått made a new standard for black metal and is today still rankad by many as one of their favorite albums. We are very proud to have booked Mörk Gryning for a exclusive show where they will perform all songs from Tusen År Har Gått amongst songs from their other four albums. This will most likely be the first and the last time Mörk Gryning ever does this show. A Canorous Quintet: This will surely be nostalgic for many. A Canorous Quintet was formed in 1991 and split up 1999 after 6 releases. The band has played shows in the early days in Stockholms suburbs together with bands like At the gates, Dissection, Necrophobic and Amon Amarth. The band has now reunited to make this exclusive performance. 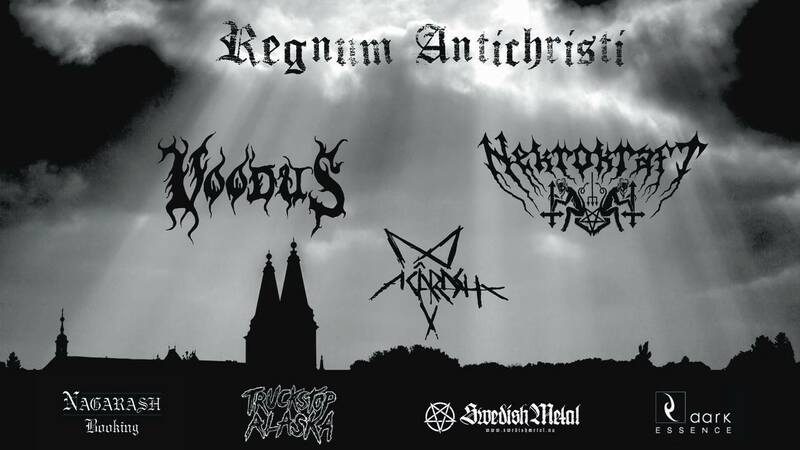 Netherbird: In 2014 Netherbird decided to cease as a band and made their last performance at a Luciferian Society event. They are now back stronger then ever and will make their Stockholm debut on this very special evening. Inferno: Black metal veterans from Czech Republic that released their first demo as early as 1996. This wil be Inferno’s first show in Sweden and we are honored to have them here in Stockholm. Empty: One of Spain’s most prominent black metal bands will visit Stockholm. The band is signed to cult label Osmose Productions and has been around since 1995.